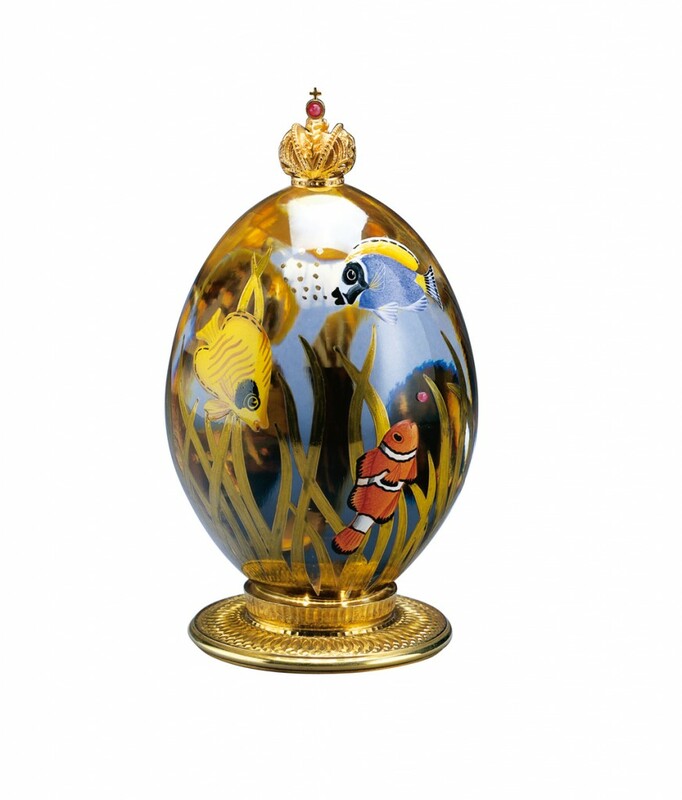 The Ocean Egg, a creation by Theo Fabergé depicting the mysterious marine life within the deep swaying waters of the ocean. The Egg, made of 24% lead crystal with delicately hand painted aquatic grasses in 23 carat gold, gently surround the colourful tropical fish. The red and white clown fish has discovered treasure, a faceted ruby, lifted out of the sand by the swirling current on the seabed. Looking through the Egg, a shy Sea Horse can be seen hidden amongst the swaying leaves. 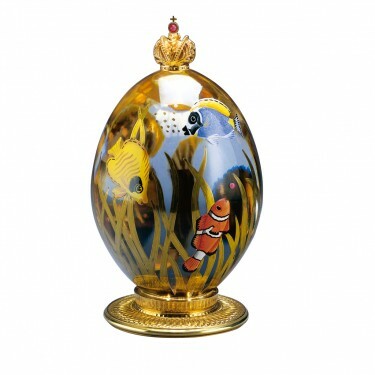 The Egg is offset with the Imperial Russian Crown in vermeil with a cabochon ruby and stands on an ornamentally turned 24 carat gilded decorative base.